This article concerns the king of the Kingdom of Judah. For the king of the Kingdom of Israel, see Jehoram of Israel. For other uses, see Jehoram (disambiguation). King Jehoram or Joram (Hebrew: יהורם, Yehōrām or Hebrew: יורם, Yōrām; Greek: Ἰωράμ, Iōram; "Name means::YHWH is exalted") (925 BC-vr. 893 BC-r. 889 BC-d. 886 BC according to Ussher, or 880 BC-vr. 853 BC-r. 848 BC-d. 841 BC according to Thiele) was the fifth king of the Kingdom of Judah. (2_Kings 8:16-27 , 2_Chronicles 21 ) He is remembered as a notorious fratricide and idolater who died so horribly that he was denied burial in the sepulchers of the kings. Jehoram was the eldest of the seven sons of King Jehoshaphat and was born to him about ten years before Jehoshaphat began to reign. (His mother's name is not recorded.) He had two brothers named Azariah (though the other brother is often called Azaryahu to distinguish them) and four other brothers named Jehiel, Zechariah, Michael, and Shephatiah. When he was seventeen years old (by either reckoning), Jehoram married Athaliah, daugher of King Ahab of the Kingdom of Israel. This was part of the military alliance that his father made with that king. (2_Chronicles 18:1 By her he had one son at this time, named Ahaziah. Athaliah was not his only wife, and might not have been the first, but she would become the most influential wife he had—to his detriment, and to that of the kingdom. Jehoram is known to have had a number of sons and at least one daughter, named Jehosheba, who married Jehoiada, a Levite who ultimately became high priest in Judah. The Bible describes Jehosheba as "sister" to Ahaziah. Many commentators regard her as a half-sister, the daughter of Jehoram by a wife other than Athaliah. About four years before his death, Jehoshaphat settled his estates. He gave Jehoram and his brothers several city governorships and various monetary settlements, and also made Jehoram his viceroy. Ussher says that this viceroyship ran concurrently with his lone reign (so that he reigned eight years altogether), but Thiele says that viceroyship and lone reign ran consecutively. In either event, Jehoshaphat died, and Jehoram, to strengthen his own position, murdered all of his brothers and several other minor princes. Furthermore, without the countervailing influence of his father, he now came under the full influence of his wife Athaliah. She encouraged him to worship Baal, as her father did, and to allow Baalism to spread throughout Kingdom of Judah. His father Jehoshaphat had removed the high places; Jehoram had most if not all of these rebuilt. Jehoram was supposed to have been thirty-two years old when he began to reign. By the Ussher chronology, he was 32 years old when he became viceroy—and this was a true executive viceroyship, not a provincial one. By the Thiele chronology he was 32 years old at the start of his sole reign. In the middle of his reign, Jehoram received a letter bearing the signature of "Elijah." The letter rebuked Jehoram for his murders and his apostasy, and said that his kingdom would suffer military defeat and economic hardship, and that he himself would suffer a gastrointestinal disease that would end with his death when his bowels fell out. Elijah himself, writing before the fact according to a previous vision from God. Early in Jehoram's reign (after Jehoshaphat had died), Edom revolted from the Kingdom of Judah. Jehoram led an army against that new kingdom and inflicted heavy casualties on it, but was unable to bring Edom back under Judah-ite dominion. This was according to the prophecy by Isaac to Esau that he, Esau, would "break Jacob's yoke from your neck." (Genesis 27:40 ) The city-state of Libnah, near the Judeo-Philistine border, revolted at the same time. At an unspecified time during Jehoram's lone reign, a Philistine and Arab coalition raided the Kingdom of Judah and plundered the royal palace. They carried away everything that they could lay their hands on, and either captured or killed all of Jehoram's wives (except Athaliah) and sons (except his youngest, Ahaziah, also called "Jehoahaz"). His daughter Jehosheba also survived the raid, perhaps because she was already married to Jehoiada by then. Note that the Bible does not say that Ethiopia was a participant in this coalition, but rather that the Arab forces came from a region near to Ethiopia. These would probably have been Somali Arabs from the Horn of Africa. Two years before his death, Jehoram was stricken with a gastrointestinal disease that ended with his bowels falling out. The described progression is similar to that for ischemic colitis, which sometimes results when the supporting structures of the bowels (mesentery and mesocolon), within which run the blood vessels that serve them, somehow become twisted. Eventually Jehoram died miserably when his diseased bowels fell out. The people of Judah buried him in Jerusalem, but not in the sepulchres of the kings. His son Ahaziah reigned in his stead. Jehoram's reign lasted eight years by non-accession reckoning, consistent with his having served as co-rex for four years and sole rex for another four. ↑ 3.0 3.1 3.2 3.3 3.4 3.5 3.6 Authors unknown. "Entry for Jehoram." WebBible Encyclopedia. Retrieved June 18, 2007. ↑ 5.0 5.1 5.2 5.3 Authors unknown. "Entry for Jehoram." The Columbia Electronic Encyclopedia, 6th ed. New York: Columbia University Press, 2007. Retrieved June 18, 2007. ↑ 6.0 6.1 6.2 6.3 6.4 6.5 6.6 6.7 Authors unknown. "King Jehoram of Judah - Biography." 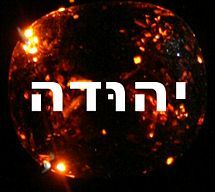 The Kings of Israel, hosted at http://www.geocities.com/ Retrieved June 18, 2007.